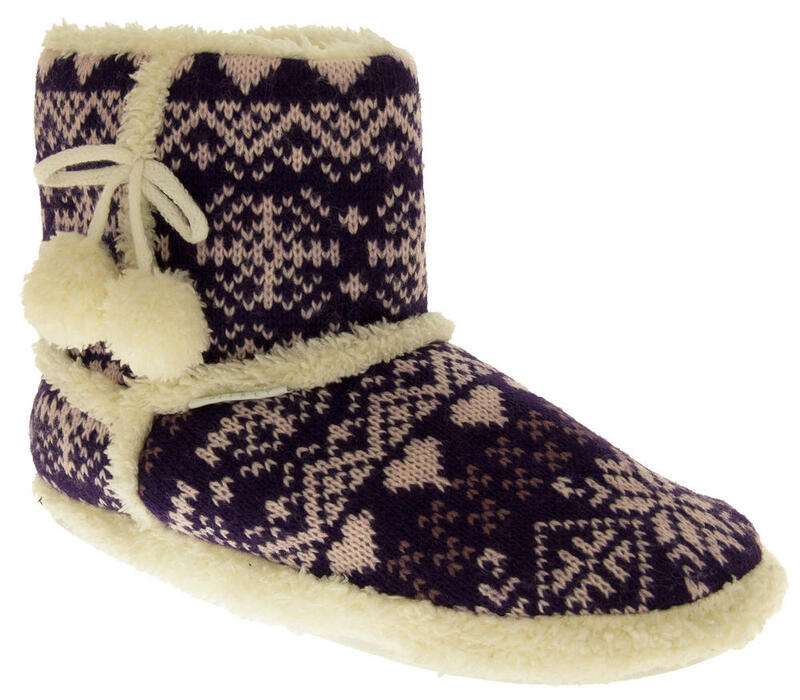 These beautiful De Fonseca slippers are ideal for winter evenings. 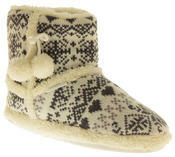 They have a soft knitted upper. 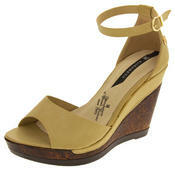 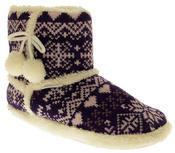 and a warm textile lining that goes all the way to the toes. 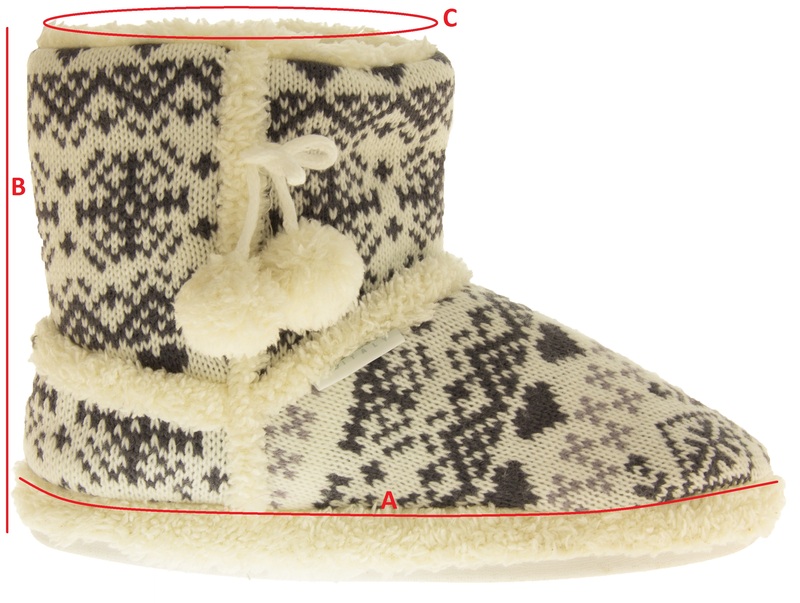 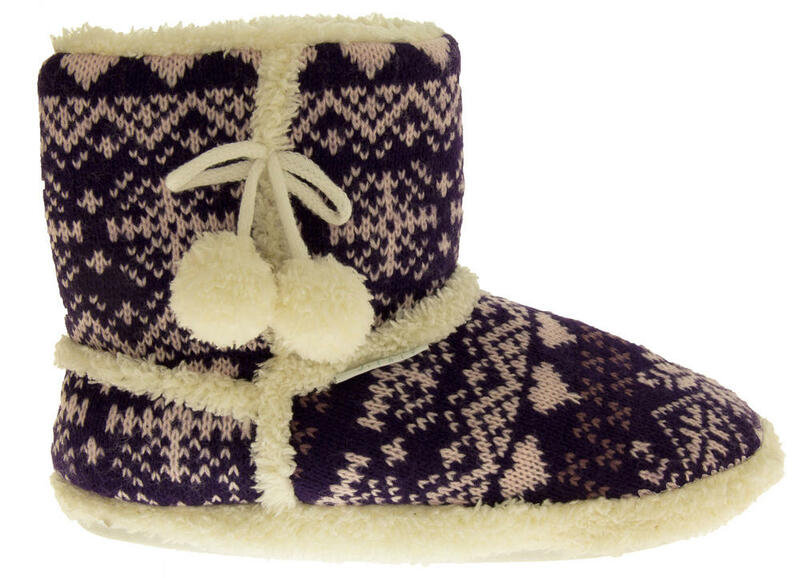 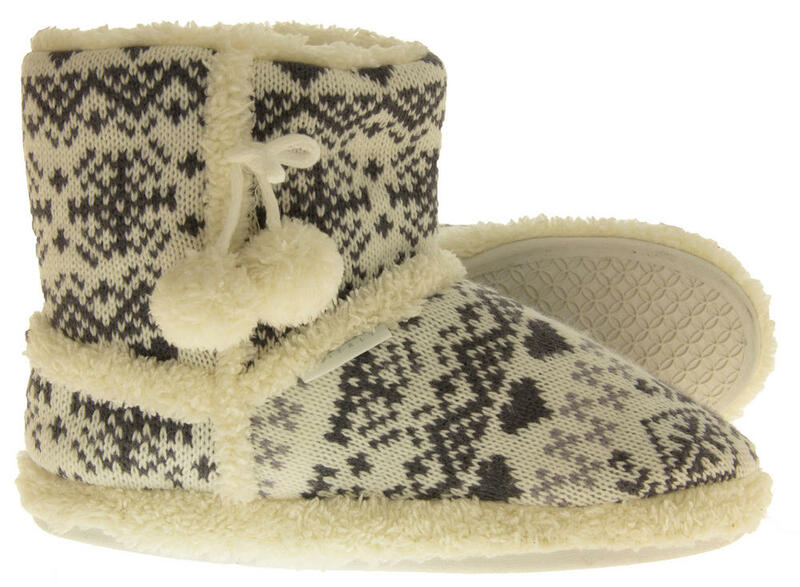 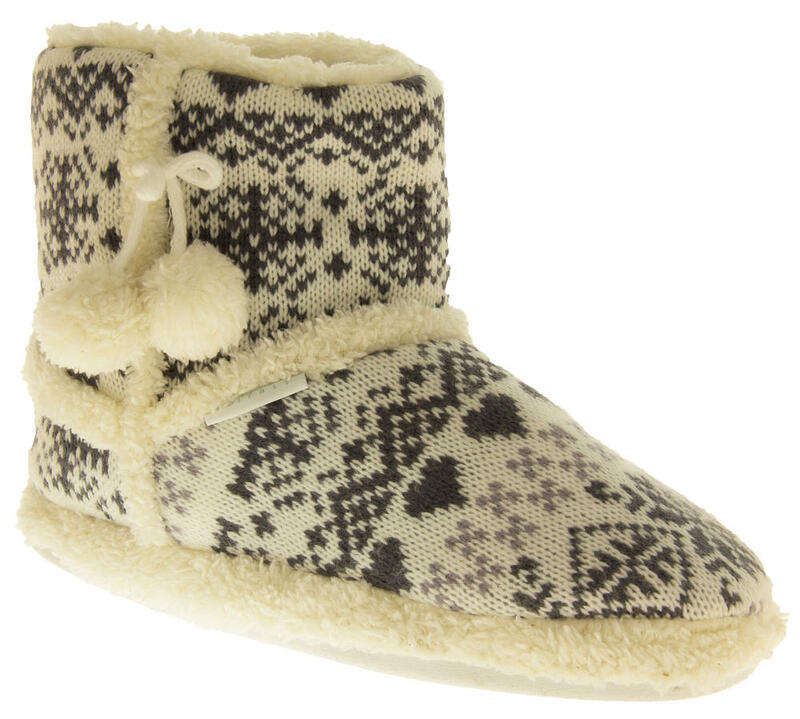 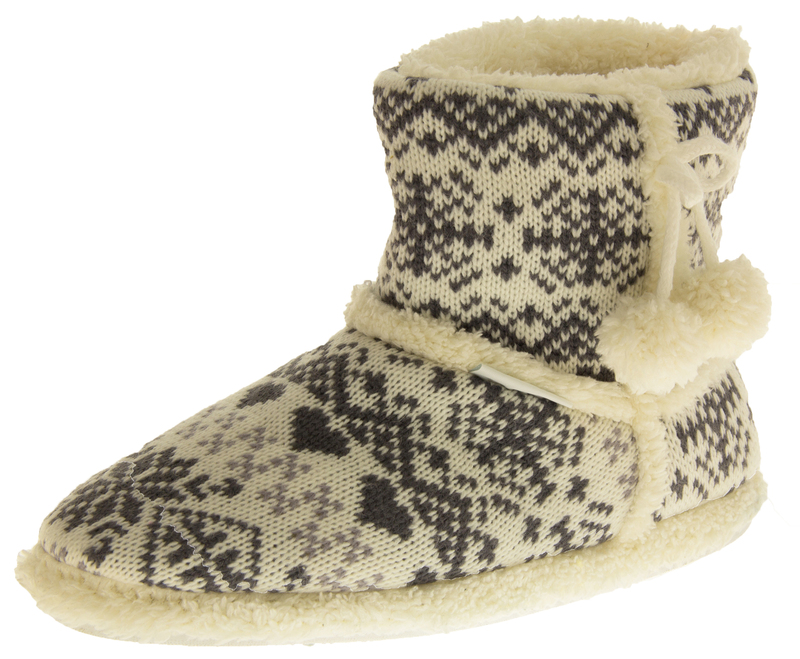 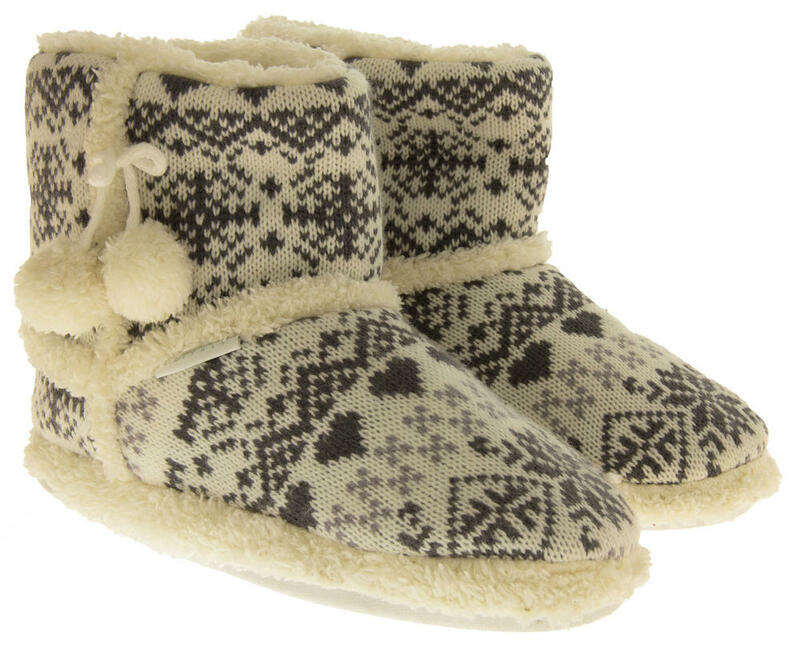 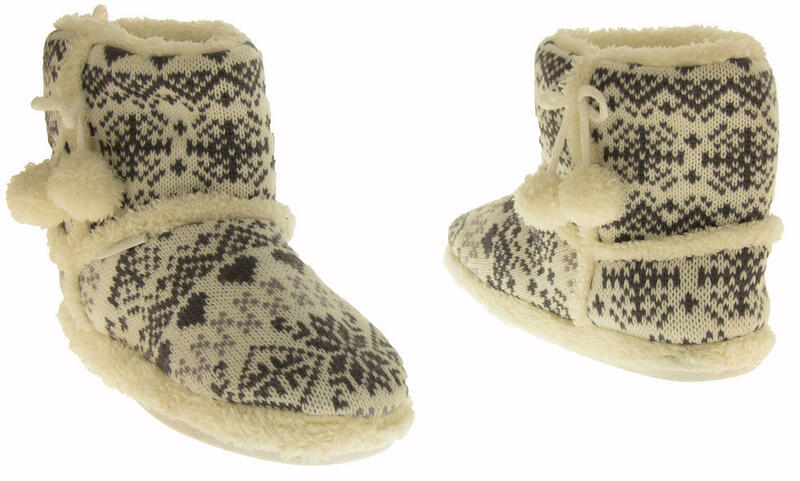 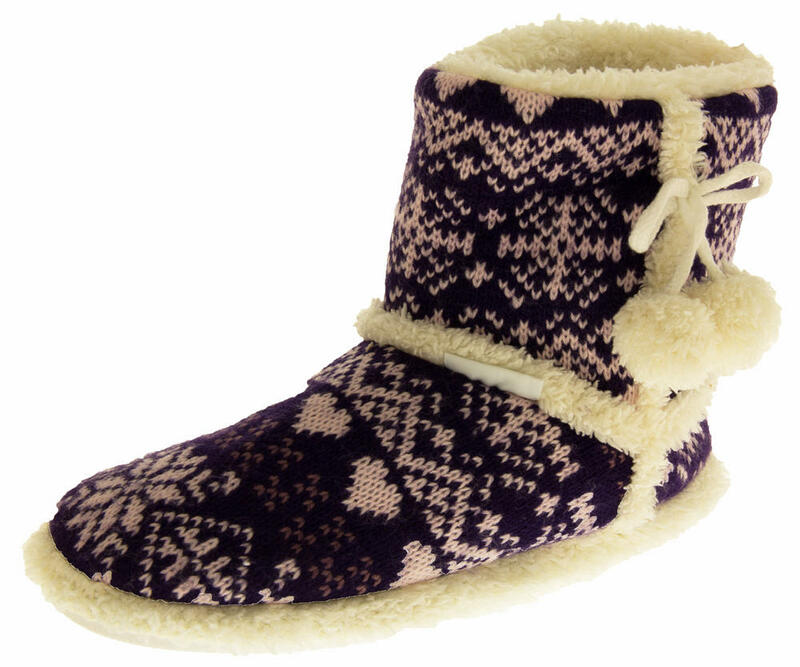 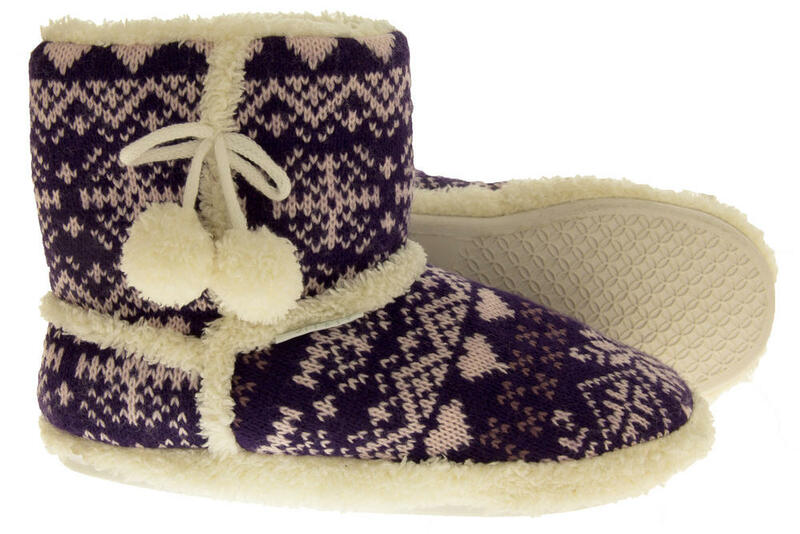 Decorated with pom-poms to the side, and a seasonal fairisle snowflake design on the upper. 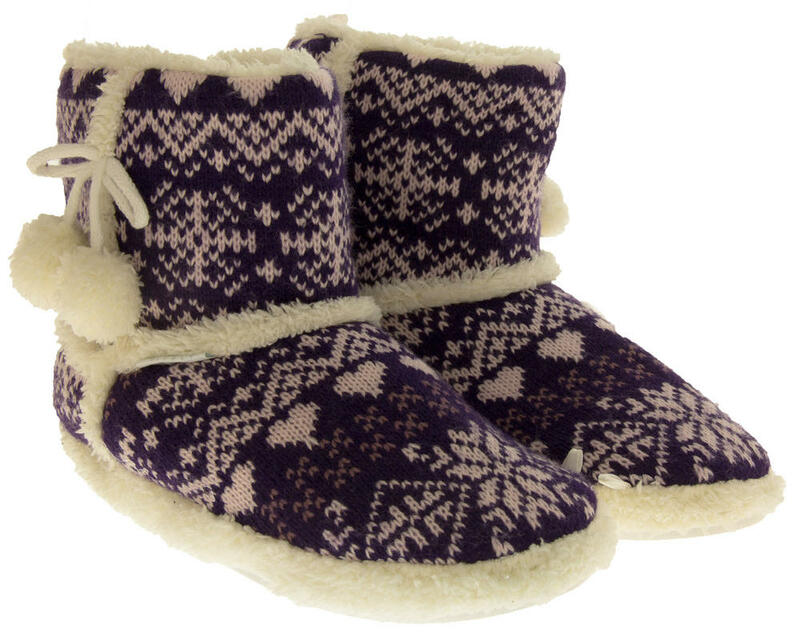 Treat your feet on cold winter evenings with these gorgeous boot slippers or why not give them as a christmas gift or birthday present to someone special!